Action / Uses: Cough, Cold, Respiratory Support, Controls Scabies. Skin Affection. 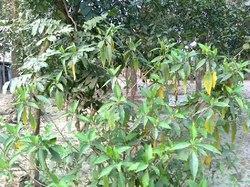 From our wide consignment, we are affianced in supplying Adhatoda Extract. Our reputed entity is engaged in supplying Adhatoda Extract. Backed by our efficient workforce, we are capable of processing and supplying Vasaka Dry Extract. This is processed under clean environment conditions, using quality ingredients that are sourced from the reliable vendors of the market. We also provide customized packaging facility to customers as per their needs and demands. Adhatoda Vasica is a small evergreen, sub-herbaceous bush with lance-shaped leaves. They are oppositely arranged, smooth-edged, and borne on short pettioles. Flowers are typical, white arranged in spikes. We are amongst the reputed organizations, highly engaged in offering an optimum quality range of Adhatoda Vasica. - Used to relieve cough, cold, whooping-cough, asthma and bronchitis due to their pharmacological properties. 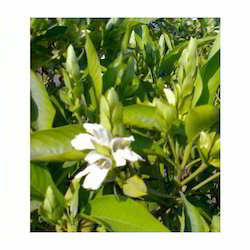 Botanical Name: Adhatoda Vasica P.E. Latin Name: Justicia Adhatoda L.
DESCRIPTION : Dark Brown Powder With Bitter Taste.